Safely store your printed photos in this acid free and photo safe album. This photo album holds up to 200 4x6 photos horizontally or 100 5x7 photos vertically in clear pockets. Each page has one pocket and memo space to write your notes next to each photo. 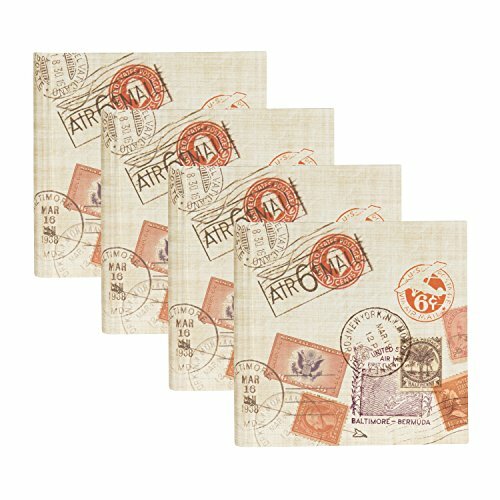 This travel theme photo book has a passport stamp paper wrapped cover. The outside dimensions of this photo album are 9 inches wide by 8.625 inches high by 2 inches deep. These albums arrive in a retail ready tray pack of 4 and are also perfect for your home personal use.